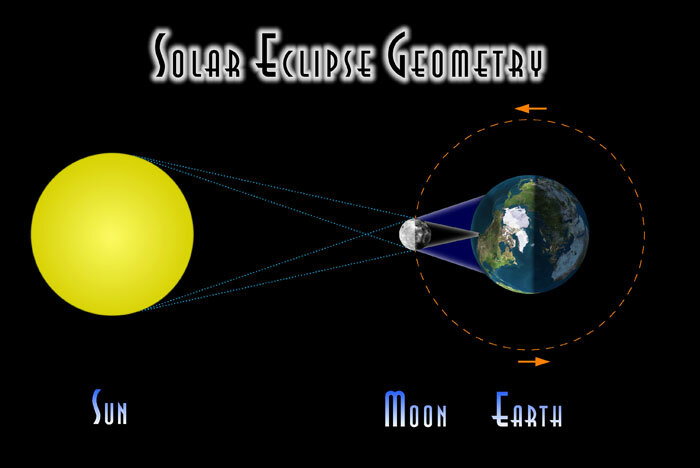 Solar eclipses can take on a few different forms, namely Partial Solar Eclipses, Annular Solar Eclipses and Total Solar Eclipses. This website is particularly concentrated on the Total Solar Eclipse in 2015. However here is an explanation of all three types. This type of eclipse is witnessed during the build up to a total solar eclipse, annular solar eclipse or just during an eclipse that will only ever be partial. Often seen from a large area of Earth, these types of solar eclipses are seen more often than any. This is mainly due to the fact that the Moon’s distance from Earth is irrelevant to us on Earth during these events. If a partial eclipse is going to happen, a big chunk of Earth will witness it. Appearing to take a ‘bite’ out of the Sun, the Moon obscures the Sun’s disc. 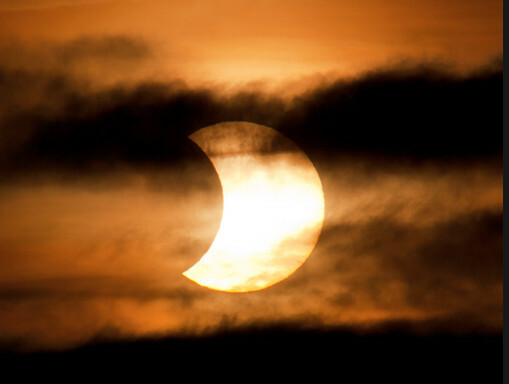 During sunrise or sunset, partial eclipses can be quite picturesque. 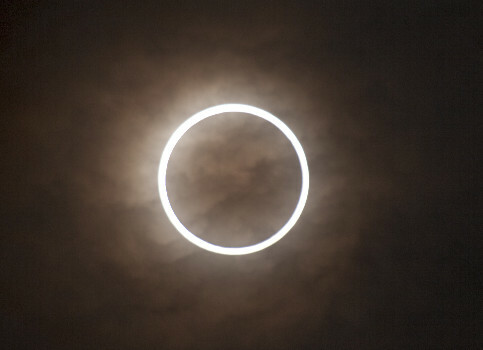 An annular solar eclipse is much more rare than a partial solar eclipse. Even though a partial eclipse is seen by many during these events, the annular phase is only seen in a narrow corridor across the Earth. What causes the ‘ring in the sky’ is down to the elliptical orbit of the Moon. There are times when the new moon is located further away from Earth than at other times. The point at when it is furthest away is called ‘apogee’. 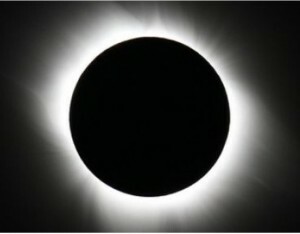 If a full eclipse of the sun happens around this time, an annular solar eclipse is witnessed due to the Moon appearing slightly smaller than the Sun. This means that the main shadow of the Moon, the umbra, does not reach the Earth, allowing sunlight to pear around the complete circumference of the Moon. On to what will happen on 20th March 2015, a total solar eclipse is the rarest of the three solar eclipse types mentioned. In order for this event to happen, the Moon must be at new phase and not be near apogee in its orbit around the Earth. Much like the annual eclipse, only a select few will be able to witness the event in a narrow corridor which stretches across the Earth from west to east. Most area’s of the Earth will be located outside of this ‘path of totality’. However, a much larger area of Earth will be able to see the partial phase of the eclipse as the illustration below shows.